Hello and Good Publishing Day to all of you. I'm looking forward to our 6th annual Hot Publishing Tips next week. With seven of us, you will get 35 "move you forward" for success ahas and insights. Make sure you register on the link below. Excited to see at least three books move to layout this week. And, I bet the authors are as well. I’ve been "out of the office" for two weeks, but staying on top of emails, coaching calls, working on clients books. What’s cool about what we writers and authors do is that we don’t have to be anchored to one spot; one desk; one chair. Love it! MEET me when I’m on the road. I’m looking forward to traveling this year to work with Texan authors at the July 27-29 event in Dallas, TX; authors from Colorado and multiple states in Breckenridge, CO August 23-26; Michigan authors at the Booktoberfest in Dexter, MI on September 8; Alaskan authors in Anchorage, AK September 20-22; and Florida authors in Altamonte Springs, Florida October 18-20. This is a WARNING to ALL users of CreateSpace. It’s OMG and YIKEs time … bad things have been happening to CreateSpace accounts. The hackers are out. If you are using CS, stop what you are doing and get to your account – and check your banking information – this is critical. 2. Click on "Edit Account Settings"
3. Click on "royalty account information" -- and check your bank account information. 4. Then go back a page and click on "Account information" and change your password. You can pick my brain … minimum time is 30 minutes. 9 Eastern time only this week and next when I’m away from the office on a Friday. Even when I was in Alaska for two weeks, I didn’t miss a call with our group. I was ready on Skype at 5 a.m. Alaska time. It’s a full hour when you can ask questions—any question. And, I always include a few strategies to get your authoring life ahead of the competition. It’s for paid subscribers ONLY and we do it on Skype. This is how each call starts: I share a few strategies, tips and tools that attendees can immediately start to use. lots of sharing of ideas. A fun hour quickly that flows fast and an excellent way to start a Friday. Those of you who aren’t participating, you are making a mistake. I love the variety of books and authors who have chosen to participate. What’s also fun, is the energy that can be felt with what everyone is working on. Love it! AND … How’s your week going? Are you in Colorado on July 21? Come to our annual BBQ. fire pit for toasting marshmallows and just a fun and relaxing afternoon. All you bring is yourself—family members welcome. WOWSA … It’s rolling in fast … and I do mean FAST. Happening NEXT MONTH, you don’t want to miss out. How a Strong Author Brand Can Power Boost Your Book MarketingResponsible for helping thousands of authors around the world build their brand and boost their book sales, Kathy Meis—the founder of Bublish—will show you how to discover and position your unique author brand and craft an effective brand message for your target audience. The result? Authentically engaged fans and more book sales! In her session, she’ll be answering the question: what is an author brand and why is it important. Judith Briles, author of 36 books including How to Create Your $1,000,000 Speech, Author YOU, and a master at book publishing and speaking on your book. Got Book? Now, Create a Speech that Generates a $1,000,000 and More! Speaking sells books—lots of them. Savvy authors learn quickly that hoping book buyers find theirs on Amazon or in any other bookstore may be wishful thinking. They learn and embrace the old-fashioned "face-to-face" approach: have a meaningful message; create insight and magic with their words offering entertainment, encouragement or solutions; and woot—book sales pour forth. Immediately and with payment. Speaking: the golden key to book sales. How to pitch yourself to the decision maker. How to move from "free" to fee and get paid. How to hook an audience within the first few minutes of a presentation. How to morph a speech to a workshop, webinar or online course. How to create a closing that delivers a buzz. How to create a title that attracts meeting planners and audiences. Woot! … all in the same room on the same day at the same time! Book Marketing Breakthroughs will mount as the reveal a variety of strategies and show you how to implement to take you and your book marketing to the next, next level of sales success. You and your book cannot afford to miss this session! The Question is: will you? Just one for you today … a great way to use PayPal to personalize/customize your invoicing. Thanks to Kelly Johnson at CornerstoneVA.com for sharing. This tool turns every element on a web page into an editable element, so you may print only the elements you want. Remove background images, hide site margins, increase text size, etc. This blog highlights works falling into the public domain. Find new archival footage, vintage magazines and photos, and subscribe to receive their free newsletter. And, if you have listened, support our podcast and post a review. Thank you! Get 30++ hot tips in 90 minutes or less from the Faculty of the 2019 Publishing at Sea workshop cruise … it’s coming next week and you’ve got seven publishing pros revealing their latest "go to" gadgets and strategies to boost your success. Would you like to have 30++ Awesome and Hot Publishing Ahas and Tips from seven amazing publishing pros: John Kremer, Daniel Hall, Kathy Meis, Rebecca Finkel, Kelly Johnson, Ashlee Bratton and yours truly. Plus, we always throw in a few more that you won't want to miss! Don't bother to pop the popcorn--you won't have time to eat it--you will be taking notes like crazy! AUGUST 15: 4 PT, 5 MT, 6 CT, 7 ET p.m.
Did you know that audiobook sales revenue is up 32% so far for the year 2018? Do you have an audiobook to take advantage of this growing market? Don't miss this opportunity to join the Audiobook Revolution! You can have an audiobook version of your book created (with help!) for hundreds, not thousands, of dollars. Here's how! YES, there will be a REPLAY. Please register to make sure you get it if you can’t attend live. If you're tired of webinars that are all hype and no substance, then you'll be thrilled with the one I just did with Tom Antion. He promised high content that was immediately usable and WOWSA, did he deliver! And we had fun to boot! "This is the best and the most fun webinar I've ever been on and I've been on a lot of them." Count me in as, "Me too." The replay is ready right now and I suggest you jump on it immediately because the info Tom presented can increase your business dramatically and quickly. I loved, LOVED the idea he rolled out on making big bucks with PDFs. Immediately, I called out live to three individuals who were attendees ideas that they could do—like in tomorrow—to create a fast, no-brainer, easy-peasy push out to their fans and email contacts. I’ll bet when you hear them on the replay, you will also say, "Hey, me too." Question: I won a free publishing package because my entered chapters were a runner-up. What should I do next? My answer: First, I would have my "author beware" hat on. Many companies do workshops around the country. They are usually free. They are a "lure" designed to "hook" newbies and naïve writers/authors-to-be into their web. Ok, I’ve said it. You have been hooked. Most of these companies create mediocre products that are overpriced; give you a very limited ability to make changes to cover or design; the editing, if any offer, is weak; the distribution is merely a POD model, usually put up under the CreateSpace platform and the company’s account; the ISBN is owned by the company; and so much more. If you go along, be prepared to be hit with massive "up-sale" pitches from now on. Make sure you understand clearly what your "exit" policy is…as in you decide to terminate it. Understand that if you do, the only thing you own is your words—any design, ISBN, etc., is owned by the company and you start over. Basically, these companies are publishing predators. 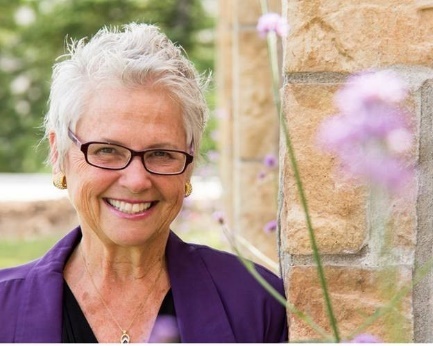 Book Publishing expert Judith Briles, aka The Book Shepherd has shepherded more than 1,000 authors and created 500 best-sellers and award-winning books. She knows publishing inside and out from both the traditional and independent sides. Judith is an advocate for authors within her blogs, podcasts and speaking engagements. What’s her pet peeve? Two words: publishing predators. She hosts the podcast AuthorU-Your Guide to Book Publishing that generates over 100,000 downloads a month. Her website is www.TheBookShepherd, email: JudithBriles.com and phone: 303-885-2207.